The 2019 Sandwich H.S. 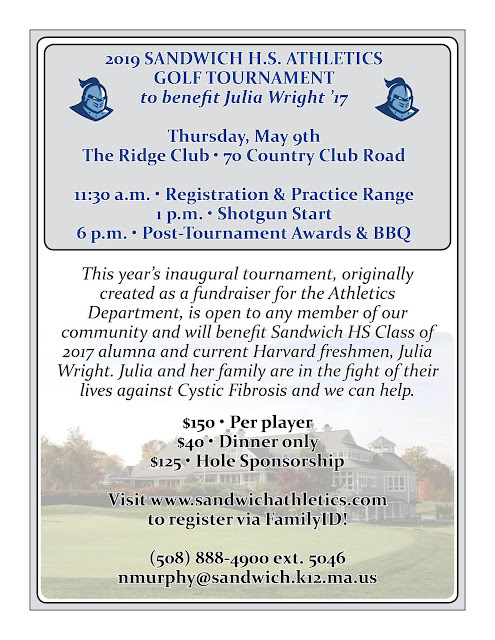 Athletics Golf Tournament to benefit Julia Wright SHS '17, will be held on Thursday, May 9th at the Ridge Club in Sandwich. 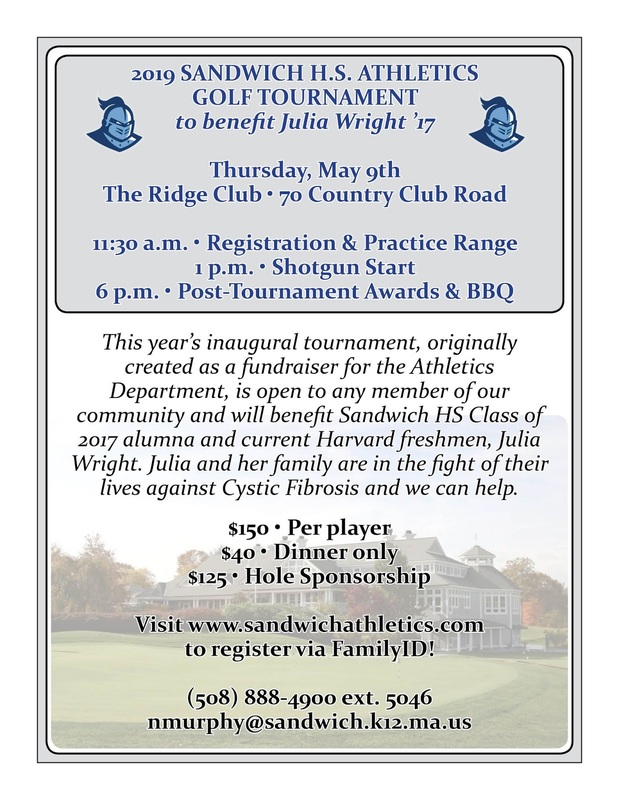 Thank you, in advance, for your generous support of this exciting event! Registration for 2019 spring sports is now open! 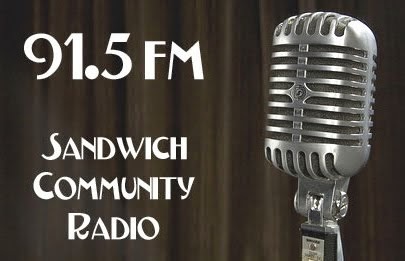 Sandwich Community Radio | Click image above to stream live!